I recall that in the early concept stage of the Lane Cove Tunnel, the Progress Association persuaded the MHR for Willoughby, Kerry Chikarovski, to request a traffic study over a much wider area than just around Epping Road; specifically to include the Pacific Highway, Mowbray Road and Fullers Road. 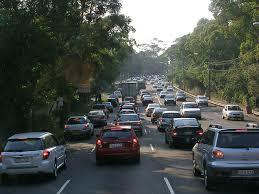 That study was conducted by consultants Hyder, and forecast traffic levels for the year 2012. Hyder forecast increased traffic, by up to 40% , if the overload on the traffic lights could be overcome. Hyder envisaged that traffic congestion would be reduced by building overbridges on the highway. Some years later, RTA offered a concept of a “cut and cover” tunnel under the Pacific Highway through Chatswood. That would have required demolition of all buildings along the west side of the Highway, to provide a detour route and construction space.